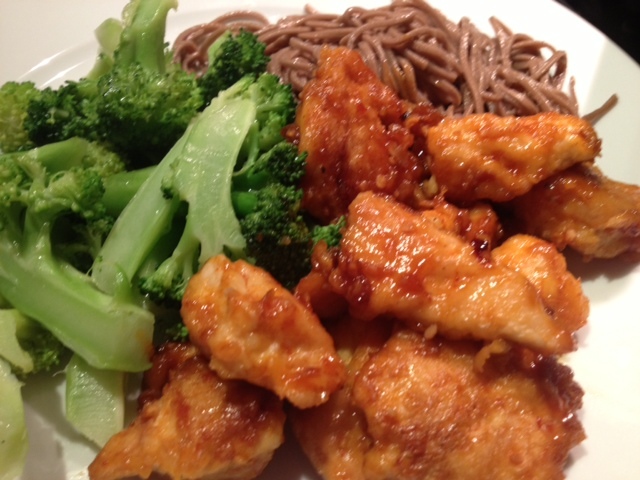 Super Delicious Sweet & Sour Chicken. 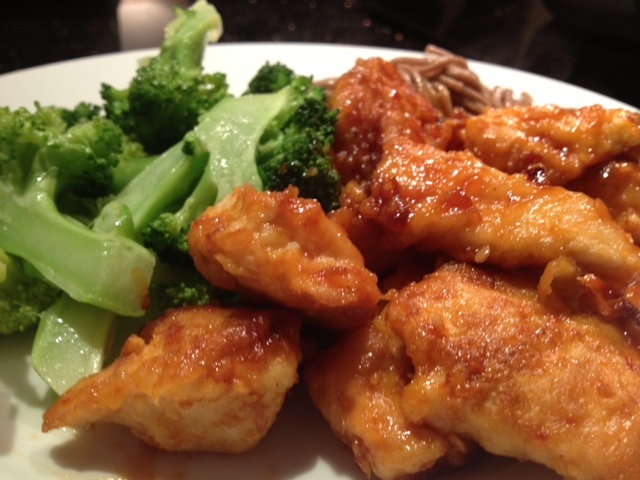 Baked Sweet & Sour Chicken. 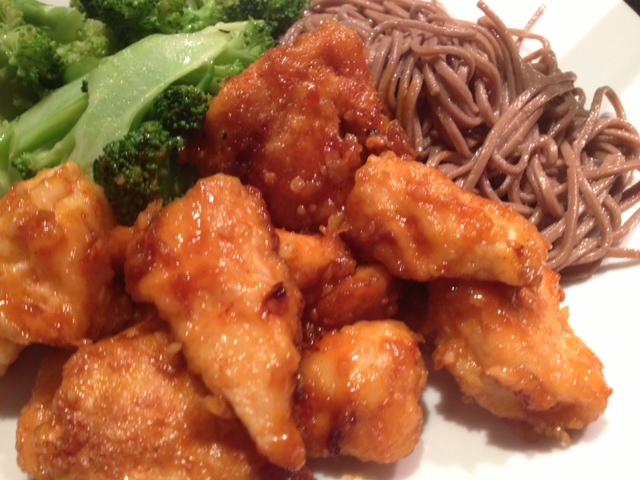 I love sweet and sour chicken, but I never really eat it because typically it’s deep-fried. So when I found this recipe on Pinterest, I had to try it out! I altered the recipe to make it a bit healthier by cutting down the sugar, reducing the amount of oil and substituting canola oil for olive oil. I also added a bit more spice with Sriracha sauce, red pepper flakes and chopped garlic. 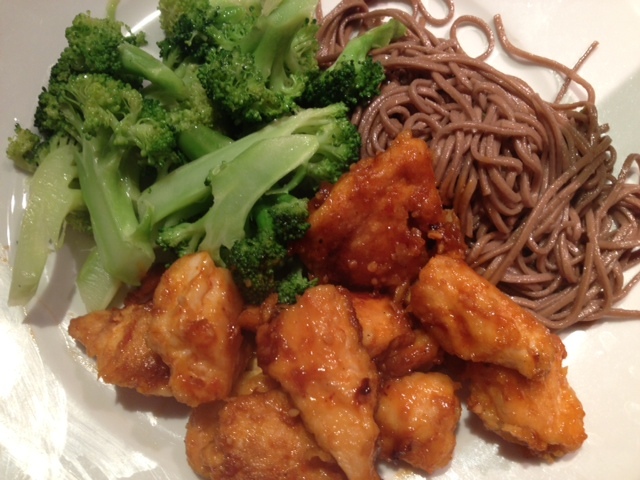 I can’t wait to make (and eat) this again! Begin by putting the chicken in a large mixing bowl. Season with a small dash of garlic salt. Pour in half of the corn starch then use a spoon to toss the chicken around to make sure the corn starch disperses evenly. 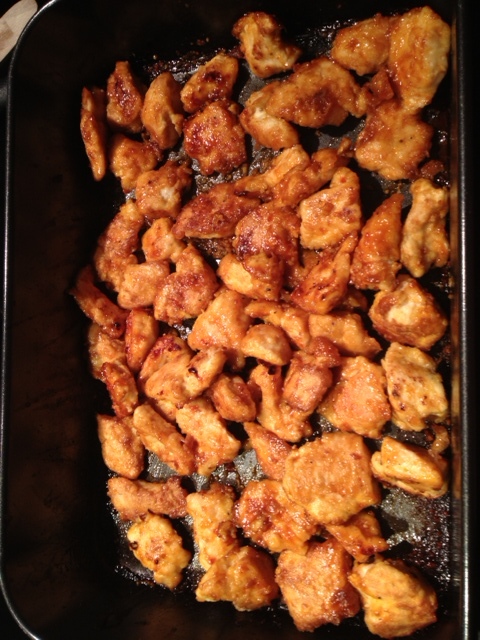 Pour in the other half of the corn starch and toss again to make sure all of the chicken is coated. You could also use a large Ziplock bag as the recipe on Pinterest recommends. Put the whisked eggs into a small, shallow bowl. Heat 2 tbsp of olive oil in a non-stick pan on medium-high heat. 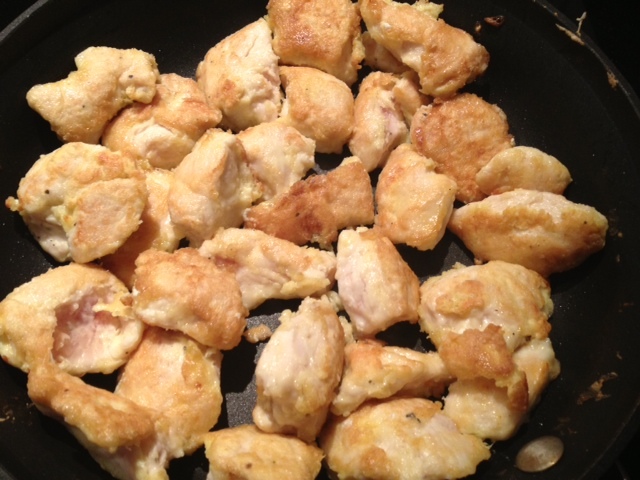 While the oil is heating, dip the chicken in the egg and then transfer it directly into the pan. Cook the chicken on each side for about 2-3 minutes until it’s lightly browned. 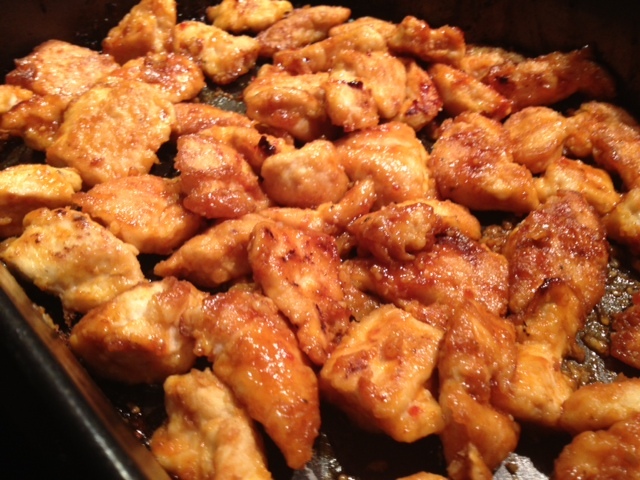 I was able to fit about half of my chicken into my pan, so I repeated this process twice. Place the browned chicken into a baking dish. In a mixing bowl, mix the sugar, ketchup, vinegar, tamari, Sriracha, a small dash of red pepper flakes and a small dash of garlic salt. 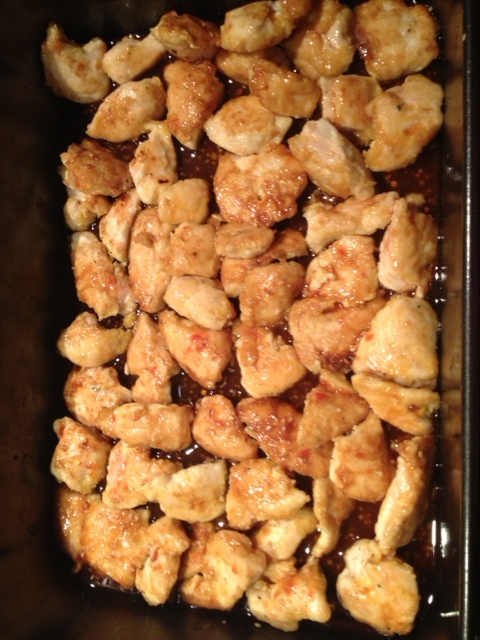 Whisk the ingredients together and then pour them evenly over the chicken in the baking dish. Bake the chicken at 375 degree for 45 minutes, taking the chicken out to turn about halfway through to ensure both sides brown evenly in the sauce.